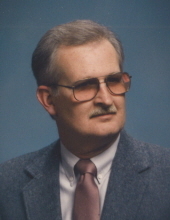 Frank D. Lemper, Jr. 75, of Waterloo, died Saturday, April 6, at MercyOne. He was born June 8, 1943, in Waterloo, the son of Frank Sr. and Lena Snodgrass Lemper. He married Fran Stifle August 10, 1963, in Paxton, Ill.
Frank graduated from West High School in 1961. He was employed by John Deere as a supervisor. He retired in 1998. He was a lifelong member of First Baptist Church of Waterloo and longtime member of the Elmwood Cemetery board. Survived by: his wife, Fran of Waterloo; two sons, Chris (Brenda) Lemper of Waterloo, and Jarod (Heidi) Lemper of Ames; a daughter, Alison (Todd Hunter) Fox of Waterloo; and five grandchildren, Ashley, Chelsea, Aubrey, Austin, and Hannah; and a sister-in-law, Cathy Lemper of Palm Coast, Fla.
Preceded in death by: his parents; two sisters, Julie Rickard and Sue Schroeder; a brother, Tim Lemper; and a granddaughter, Tiffany. Family directed service: 10:30 a.m. Thursday, April 11, at First Baptist Church of Waterloo. Visitation will be for one hour before the service at the church. Hagarty-Waychoff-Grarup Funeral Service on West Ridgeway is in charge of the arrangements. Memorials may be directed to First Baptist Church of Waterloo or American Diabetes Association. To send flowers or a remembrance gift to the family of Frank Damuth Lemper, please visit our Tribute Store. "Email Address" would like to share the life celebration of Frank Damuth Lemper. Click on the "link" to go to share a favorite memory or leave a condolence message for the family.